Kids in Utah decided to sell some toys at a yard sale to earn money to buy even more pencils. A friend in North Carolina had a party and charged pencils at the door. She collected 5 times what she was expecting. A little girl in Florida wrapped her pencils in her old hair bows to make them pretty AND send the girls something to wear too because girlfriends do that for each other. A woman in Northern Samar discovered happiness can be found in small things, like pencils and pens. And everyone involved found HOPE is real. and simple and true. Thank you Nortehanon, for inviting us into your Pens of Hope project. We collected pencils of all kinds, who knew there were so many? These pencils have power in them. 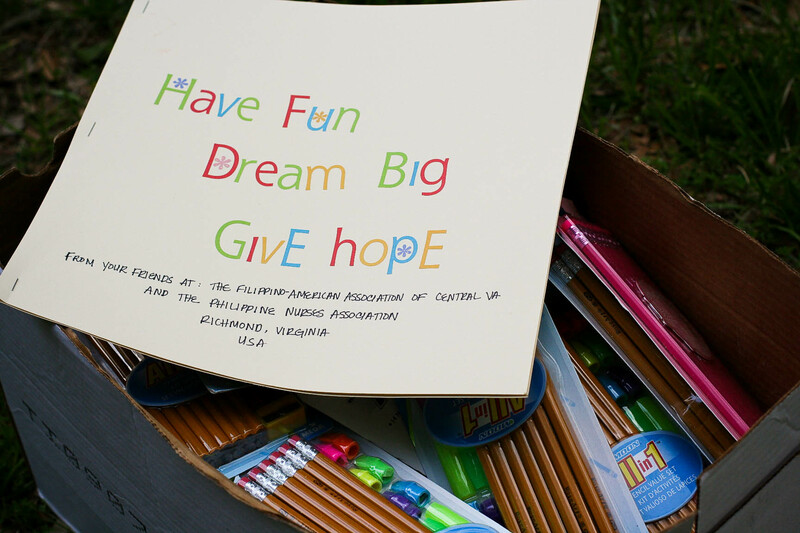 Your fellow peeps from the Filippino-American Association of Central Virginia and The Philippine Nurses Association have your back in a BIG way, like a thousands of pencils kind of way. And here we are, with 8,918 new reasons to hope. We made tiny offerings and big offerings, we send our friendship and joy to all our friends in Northern Samar. Thank you everyone for all you are and all you did…much peace to you and those you love. WE did it…and so much more!!!!! YAY!!! We knew you could do it, you wonderful kindness girl. Thank you for inviting us into your adventure. Thank you for helping us to remember and work towards the things that are the most important in the world. It helps to have a wonderfully, kind friend like you to pull us away from the triviality of our everyday lives to remember how something as small as a pencil can make such a difference. You almost doubled your goal!! Oh what a wonderful change we could see in the world if we could all realize how much love, peace and kindness can be spread in the simplest of gestures. You are a blessing to me and to so many. We love you, kindness girl. YOU ROCK! What a beautiful project. I found your link at The Serendipity Factory, and I’m so glad! 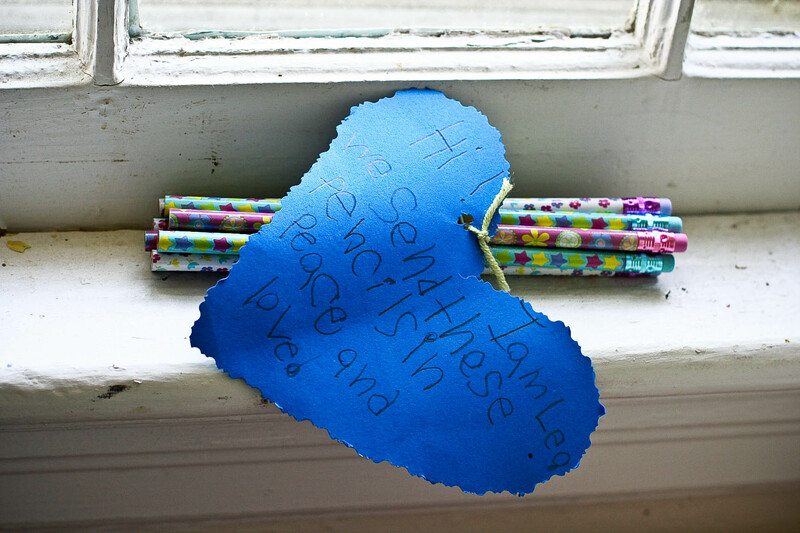 This post especially touched me, hearing how kids are helping other kids… I’ve been involved in two projects recently with 2nd grade classes–one sending supplies, and another collaborating with poetry and art projects. These kids can change our world! I look forward to reading more of your lovely blog. So many kind hearts in this world!! I am happy that this project really is successful. thanks for doing this. those pens will surely write the dreams of those kids. Came here through Nortehanon’s blog. I am supporting her Pens of Hope too. I can’t help but be happy too that so many more kids from her hometown will be enjoying school with the help of these pencils you’ve put together. Thank you so much! wow! oh wow! such an outpouring of kindness 🙂 Thanks to all of you from all of us who support Nortehanon and her Pens of Hope Project.